About Adventure Toys : Adventure Toys. Buy Outdoor Toys, Slides, Ride Ons, Trampolines, Indoor Toys, Wooden Toys, Soft Play Toys, Farm Toys and more from the Adventure Toys Online Children's Toy Store, where the fun goes on and on. 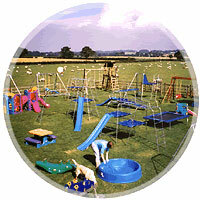 Adventure Toys, at Southolme Farm, is a childs paradise tucked away in the quiet countryside of North Yorkshire. People say having a farm that sells toys is a novel diversification, but one that's been working well for over 30 years now. Shopping for indoor and outdoor activity toys couldn't be easier, Adventure Toys is a completely safe online shop. In the following sections we hope to answer all of your queries. At Adventure Toys you can buy toys for the garden such as swings, slides, climbing frames, trampolines and much more. We're a principal stockist of T.P. Activity Toys as well as being the largest in the region for Little Tikes. And we're now stocking a new range of wooden toys, indoor toys, go carts and pintoy toys.